The Avalon Lodge features 21 spacious hotel rooms with either 1 king bed or 2 queen beds fireplace microwave and fridge in room coffee maker and complimentary continental breakfast wifi and on demand movies. Our quiet location close to the beach slopes entertainment shopping and dinning is ideal for your next vacation. Enjoy our outdoor Jacuzzi convenient location and complimentary continental breakfast served each morning in our welcoming lobby. 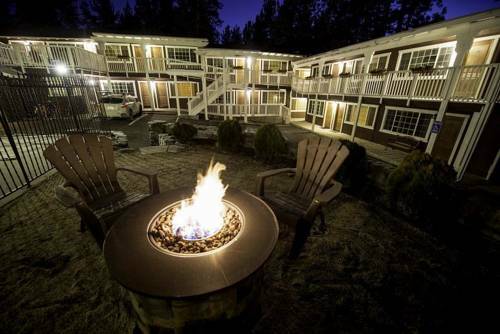 Nestled in the heart of the Stateline neighborhood of South Lake Tahoe within 2 blocks of the Heavenly Village and gondola Lake Tahoe beach casinos and world class entertainment and outdoor activities. Upscale amenities quiet location and personalized service make the Avalon Lodge a quite retreat close to all that South Lake Tahoe has to offer. All Reservations Require Credit Card Deposit of 100 percent of stay due at time of booking.